The Institute for Psychogeographic Adventure (IPA) was founded way back in 2012 when four graduate students enrolled in Brooklyn College’s Performance and Interactive Media Arts (PIMA) program discovered a common interest in exploring the audience-performer relationship, community-based arts practices, and the writings of a 60’s French radical collective called the Situation Internationalists led by Guy Debord. These disparate interests led to the formation of The IPA. Adhering to the strictest standards of pseudo-scientific inquiry, the Institute creates elaborate experiments to uncover the psychogeographic qualities of neighborhoods and institutions. After spending months canvassing every nook, cranny, and back alleyway of our target location, we partner with local artists, residents, businesses, and community organizations to create performance adventure for one (or two) audience members at a time. Audience members are led through a series of performance encounters ranging from the intimate to the spectacular, designed to bring new awareness to the possibilities hidden within their surroundings. At the completion of the adventure, audience response is measured and documented. The resultant data from the experiment is then analyzed, decoded, and stored away using the latest encryption technology. The IPA’s inaugural project, EXPERIMENT #17 (DUMBO), was presented in May 2013 as the group’s M.F.A. thesis project in sites all across the Brooklyn neighborhood of DUMBO. Over the course of nine months, the IPA developed relationships with dozens of neighborhood businesses, artists, residents, and over 60 performers to create a series of one-on-one performance encounters, activating unusual and everyday spaces for the public. Performances were completely sold out and the reactions of the participants, community partners, and performers were extremely positive. 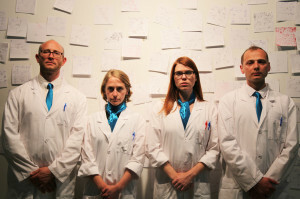 Building on the success of EXPERIMENT #17 (DUMBO), the IPA was invited by the BEAT Festival to create an original performance experiment at the Brooklyn Museum in September 2013. The BEAT Festival features a diverse mix of Brooklyn-based performing artists in neighborhoods all across Brooklyn, creating a vibrant conversation and community around the festival events. 2013 BEAT artists included: Yanira Castro, Ping Chong and Company, Odyssey Works, Third Rail Projects and Storyboard P, among others. The IPA was honored to be part of this esteemed group and to have the opportunity to grow their work in a professional context so soon after the completion of their M.F.A. program. For the BEAT Festival, the IPA created EXPERIMENT #23b (BROOKLYN MUSEUM), which drew upon their established community-based development process. The piece deconstructed the typical museum tour for 16 guests at a time, exploring the historic exhibition spaces and areas usually off-limits to guests. After a psychogeographic intake with the IPA, audience members were led on different paths, chosen specifically for them, until they arrived at a one-on-one performance at a predestined location or art work in the museum, transforming the traditional museum tour into a personalized journey of the unexpected. 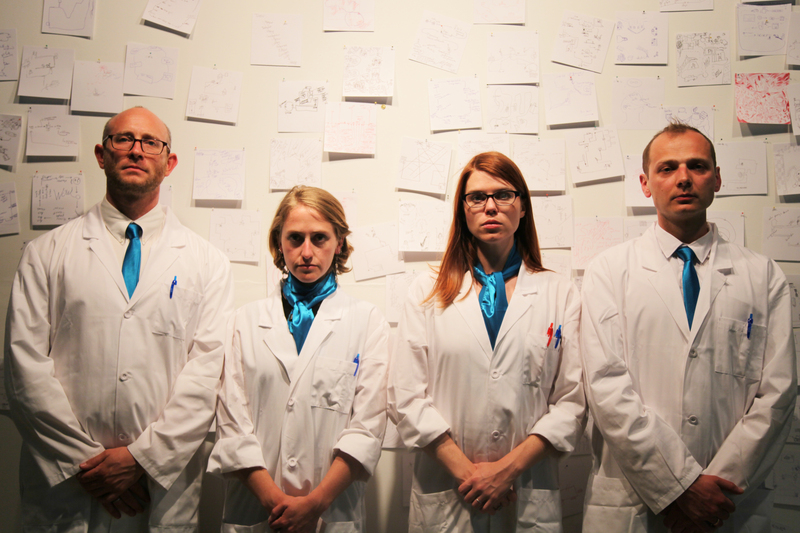 EXPERIMENT 2 1/2 was presented in October of 2013 as a part of CUNY’s Prelude festival. Unpacking the nature of the curated showcase, the IPA used back stairways, hallways, and staff kitchens of a university to create private performances. In 2014, the IPA was invited to create a site-specific roving performance adventure for Philadelphia’s FringeArts Festival. EXPERIMENT #39 (OLD CITY) involved dozens of local artists, performers, businesses, residents and Fringe fanatics, creating an adventures that infiltrated one of America’s most historic districts. At the headquarters of IPA (located at the Philadelphia Historic District) audience members went through the IPA’s patented intake process before embarking on a carefully crafted journey that uncovered the unique, hidden and spectacular gems of this historic neighborhood.